In a January 19th press interview, incumbent candidate Darren Suen is quoted as saying that his vision for Elk Grove is to be more like Irvine, that affluent, highly rated master-planned community in Orange County. First of all, kudos to Mr. Suen for at least articulating a vision--that makes him a rare breed amongst the past and present city council members who have draped themselves upon the leather recliners of the people's dias. But to all council candidates, be forewarned--your visions may be your downfall if that vision runs counter to the prevailing regional power-broker's vision. Plus, you face the risk of voters having a good memory and asking you about that vision after it fails to materialize. I have a very good friend who lives in Irvine and happens to have a master's degree in planning from UCLA. So, I called him up and asked him a few questions about Irvine, after all, if one of our candidates wants to pattern Elk Grove after Irvine, I need more info before I vote! 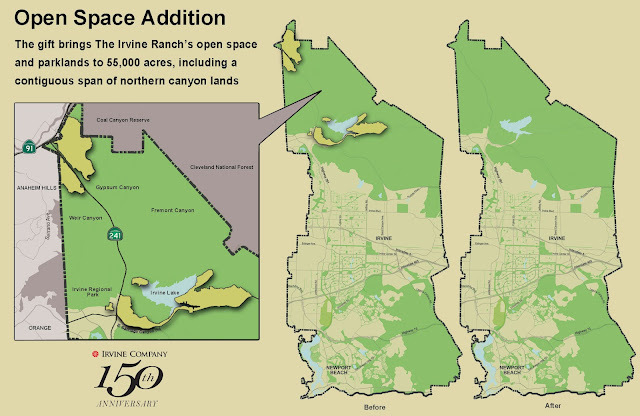 My friend said that Irvine was the poster child of good planning since the 1980s, because it has one major landowner (The Irvine Company) who had the vision to master plan their entire 66-square miles in what is known today as the city of Irvine. The Irvine Company utilized state of the art planning techniques that featured a balance of mixed uses, including major employment centers and mixed residential densities. The Irvine Company basically had veto power of all projects submitted to the city for approval and stuck to their plan--recognizing that some uses may take 20 years or more to materialize. Mr. Suen correctly points out some of the benefits of that master planned community by citing their networks of bike paths, corporate jobs, executive housing, recreational amenities, low crime, good schools, etc. In fact, in September 2011, Businessweek listed Irvine as the fifth-best city in the United States. Okay, now that we have a candidate who has set a high bar for Elk Grove, what are the risks that his vision could fall flat on its face? Not to be a pessimist, but I believe major components of Suen's vision are dead upon arrival. For example unlike the Irvine Company, Elk Grove does not have a single major landowner who owns all or most of the undeveloped land in the city--or would be willing to wait upwards of 20 years or more for certain land uses to materialize. Yes, SEPA is a pretty substantial master plan, but do you honestly believe that the underlying land owners or the land speculators are willing to wait an uncertain number of years to develop their properties while the city tries to lure those big job creators under its "Grow Time" marketing campaign? Secondly, unlike the Irvine Company who had veto power of all development applications on their property, the fragmented land ownership of Elk Grove and the incentive for agricultural land owners to cash out will be the undoing of Suen's vision. Elk Grove has no Irvine Company to share its vision and put the money into it. The gatekeeper of the master plans and development in Elk Grove is City Hall. How's that been working out? Third, unlike the Irvine Company, the development standards for Elk Grove are laughable compared to the top cities in California. Laguna and Laguna West were planned well before Elk Grove was incorporated. Laguna Ridge was supposed to be the "gem" of Elk Grove and had the highest standards of open space, parks, and architecture of any other plan developed by the City. Under the cloud of the recession and promises of economic development by the home-building lobby, the city caved and watered down all of the quality standards of its "gem" that Suen cites in his vision. So to Mr. Suen, I say thank you for wanting Elk Grove to be like the fifth best city in the United States. But, do you think the regional home builders, retail shopping developers, and the ag property sellers are willing to grit their teeth and play this game for the long-term? Do you think your fellow gatekeepers at City Hall are willing to risk not being re-elected by vetoing requests from the power brokers to change the zoning of their properties to meet the market flavor of the day--be it bland shopping centers or towering two-story homes on tiny lots that defy a certain architectural style other than Vintage 1980's Suburban Classic! Mr. Suen, you are walking a fine line between the memory and recall of the voters who hear your vision, and the tide of cash available from the regional power brokers that want the game played their way. Instead of Irvine, can we maybe settle for Chico or Davis? Suen's vision was contained in a story by Elk Grove Citizen reporter Lance Armstrong. "Irvine was the poster child of good planning since the 1980s"
Elk Grove is the poster child for suburban sprawl with no character and culture. Just a former hick town that became populated by soccer moms, swim moms, Bay Area transplants and a small amount of retirees. Elk Grove becoming like Irvine is like Del Paso Heights becoming like Arden Oaks. Perhaps Councilmember Suen can get in touch with Mr. Peabody and his pet boy Sherman, fire up the Wayback machine, and go back, say 40 years and layout this "vision thing" of his before the Sacramento County BOS. If you can do that Mr. Suen, you might have a slight chance. Short of that, he has quickly become just another political hack conjuring up fantasies for the electorate. Get Real! As someone who travels to Irvine for business reasons monthly, I found Mr. Suens comments rather interesting. Has he become another chip off the old block with this Destination City spiel. This "gem" of Elk Grove and SEPA, being manipulated and faked in ways that make it look more desirable.....time to get REAL here Mr. Suen. I'm disappointed in what I hear you saying. I am surprised that Mr. Suen who has endorsed the "flexible" plan of the South East Policy area(the 1200 acre within our city limits) envisions Elk Grove as Irvine. 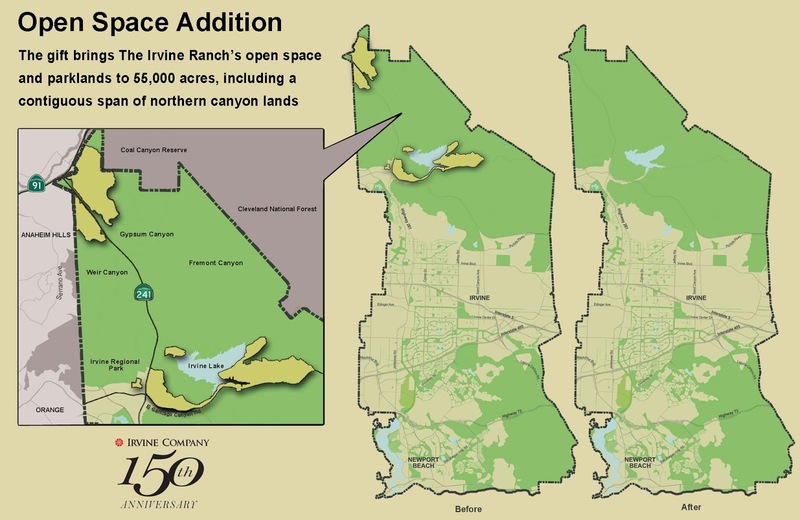 Irvine was master planned and the master plan did not have the flexibility of Elk Grove's current 2003 general plan as proven by its 42+ general plan amendments and rezones. The South East Policy Plan will bring us more homes than jobs and this plan did not support our Trails Committee in its recommendations. Mr. Suen has not seen a developer plan he has not liked. Irvine???? Really Mr. Suen? Please remind me which home developer did you work for?